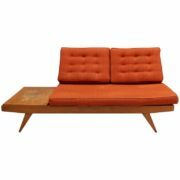 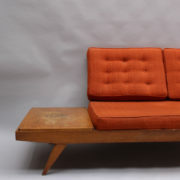 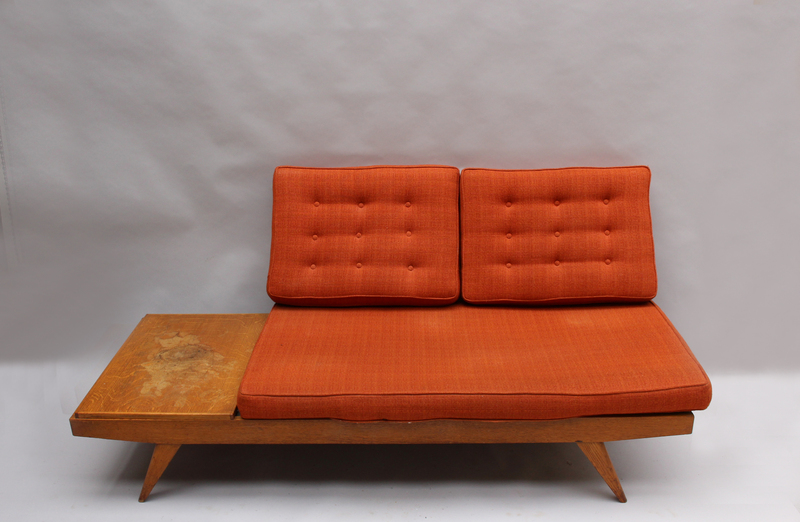 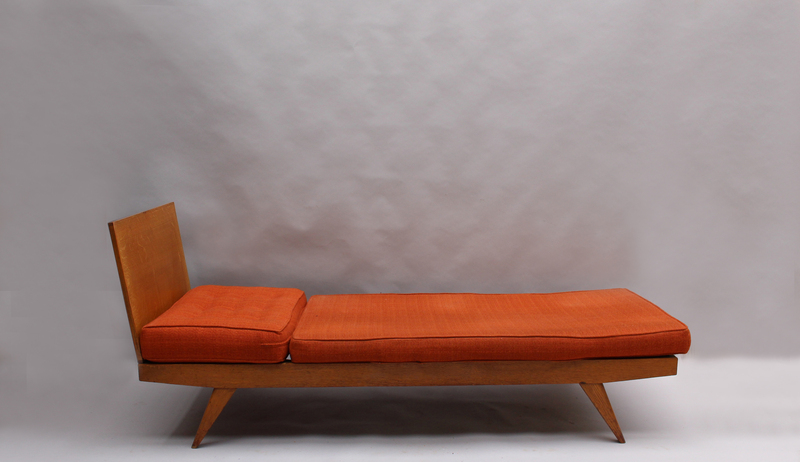 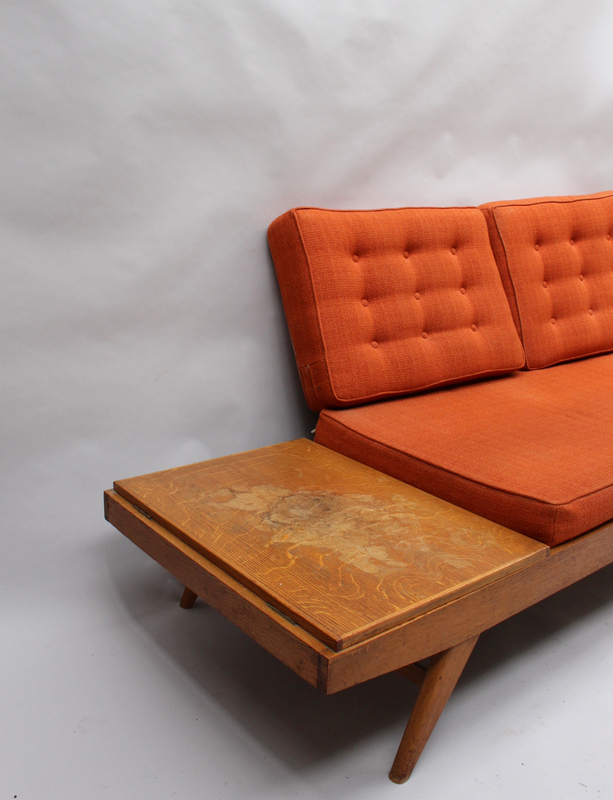 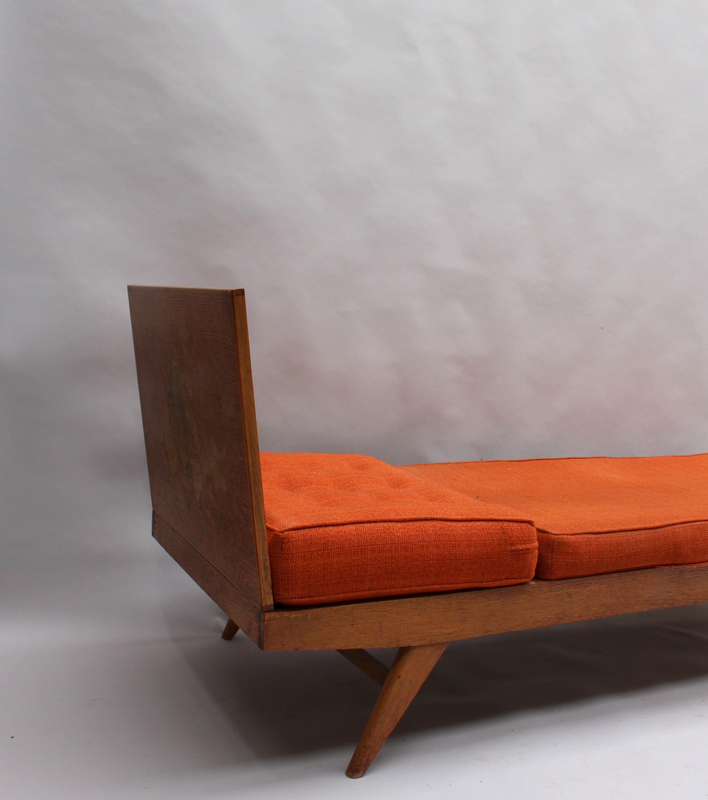 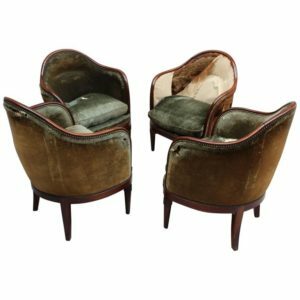 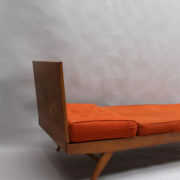 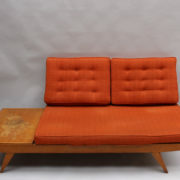 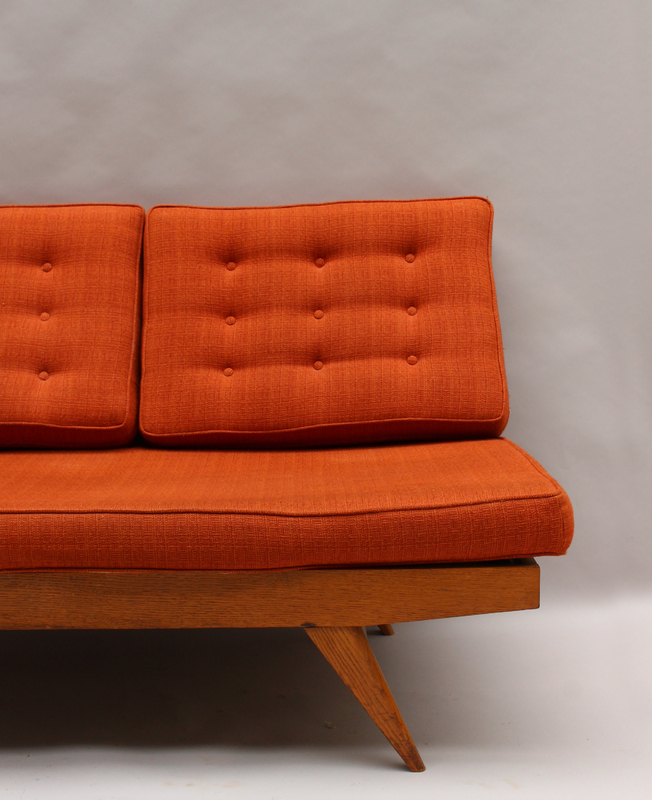 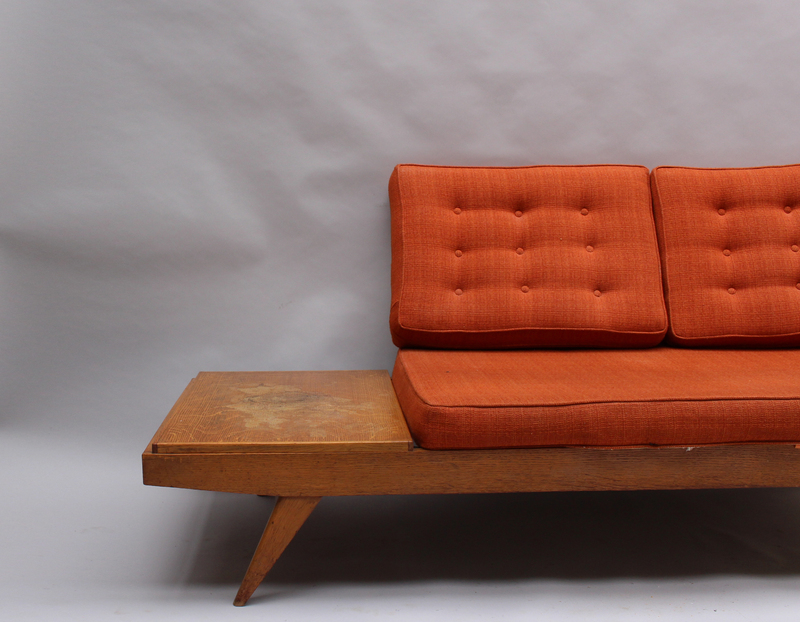 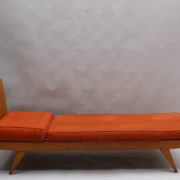 A French midcentury « Jour et Nuit » oak sofa or daybed by Free-Span. 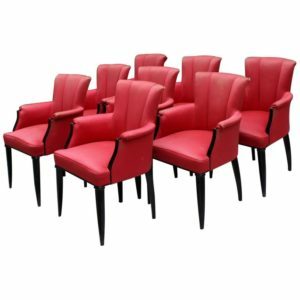 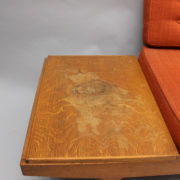 Good condition, minor wear consistent with age and use, some water marks. 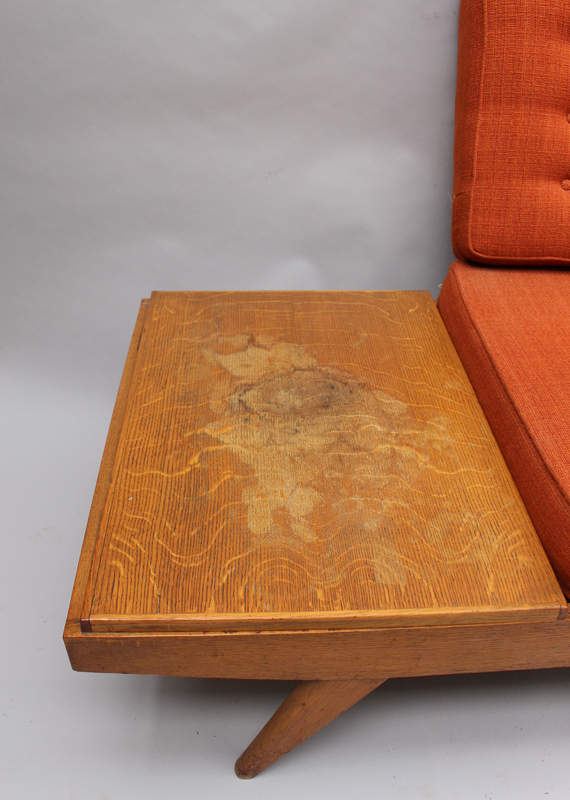 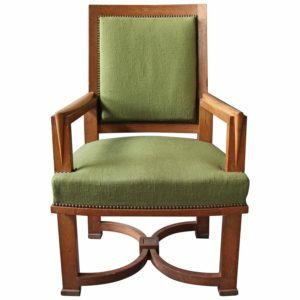 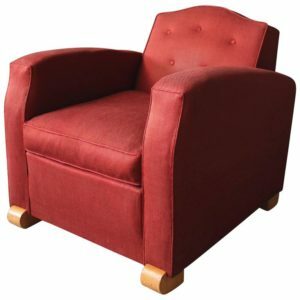 To be refinished and re-upholstered. 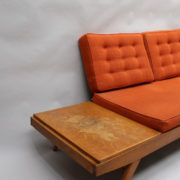 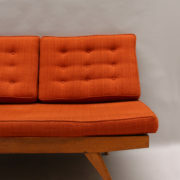 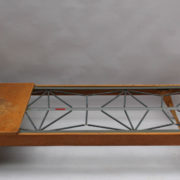 Soyez le premier à laisser votre avis sur “French 1950s Banquette, Daybed by Free-Span” Annuler la réponse.